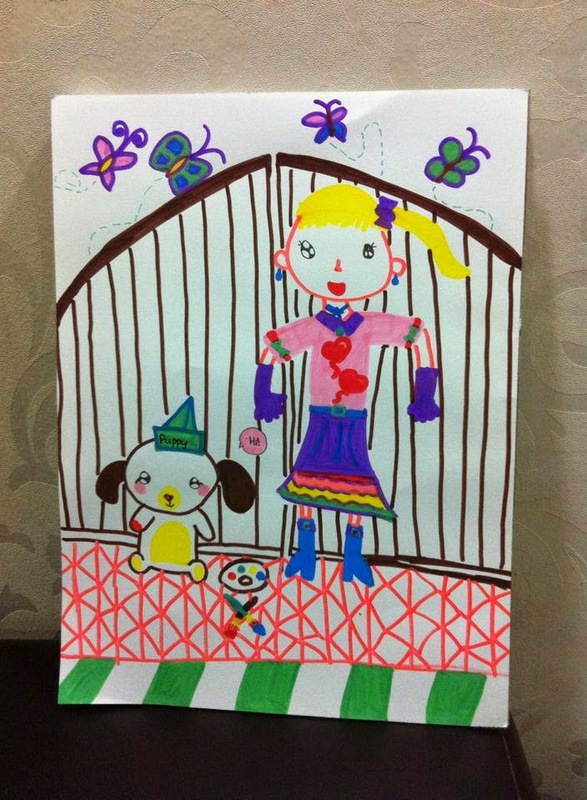 Little darling just pick up her marker and draw this from scratch.. without using any pencils to draft it. Impressive! She likes to draw this way. I feel that she is a confident girl.